Business Plan Boot Camp online training system is a simple supported method for you to have a business plan written by the end of the sessions. 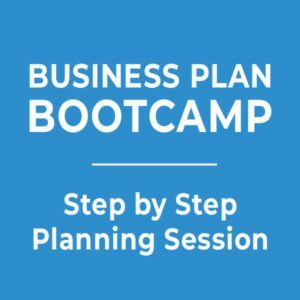 Investors, bankers, and funders have found that plans written using the Business Plan Boot Camp system demonstrate that the owner has the knowledge, and has thought through all the considerations on how to run their business. Thus increasing the chance for the applicant receive the funding required. At Opportunity Group, we focus on the how your business plan will work, not why it will work.